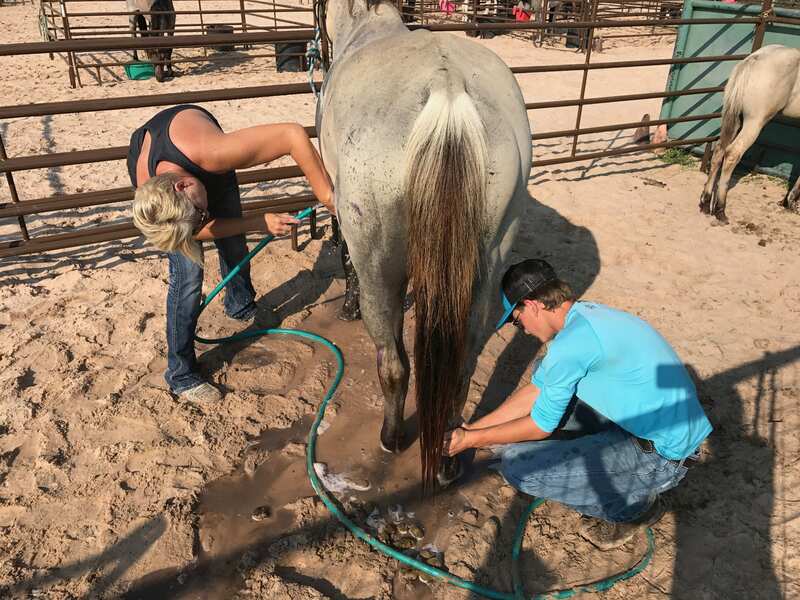 Vetericyn donated products to a number of Texas facilities caring for horses rescued after Hurricane Harvey. As many of us sadly know, when natural disasters happen, humans are not the only ones affected. 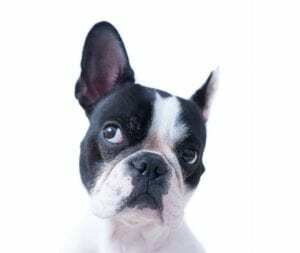 The recent hurricanes in Texas, Florida and Puerto Rico have left thousands of animals displaced, with many suffering serious injuries and illnesses due to flooding. 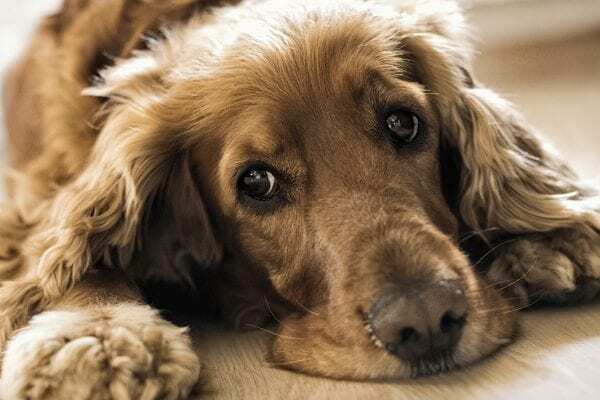 Luckily, there are plenty of amazing volunteers and organizations who have devoted their time and energy to rescuing and caring for these animals. 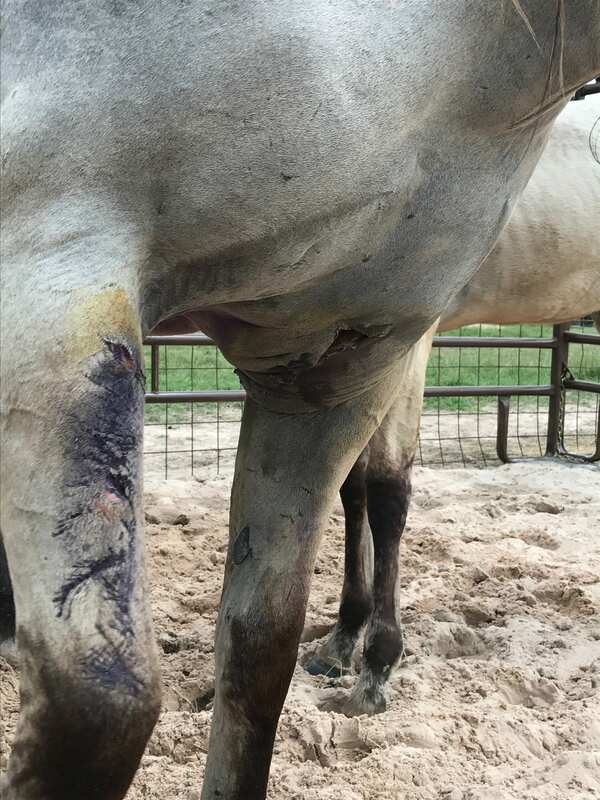 In the wake of Hurricane Harvey, Vetericyn donated wound care products to a number of Texas facilities caring for horses rescued in the disaster. We caught up with a few of them to see how they were doing. More than a month after Hurricane Harvey hit southeast Texas and southwest Louisiana with catastrophic wind and rains, much of the area is still dealing with flooding. That’s the case at Texas Equine Angels in Bremond, Texas, a nonprofit dedicated to helping individuals overcome injuries and illnesses through equine therapy. “There are still so many places where the water needs to get pumped out. The news can’t show you it all because they can’t get to the places we are in,” said T.E.A. founder Jackie Campbell, who started the organization as a tiny operation out of her own car, and credits equine therapy with helping her recover from a wheelchair-bound injury of her own. 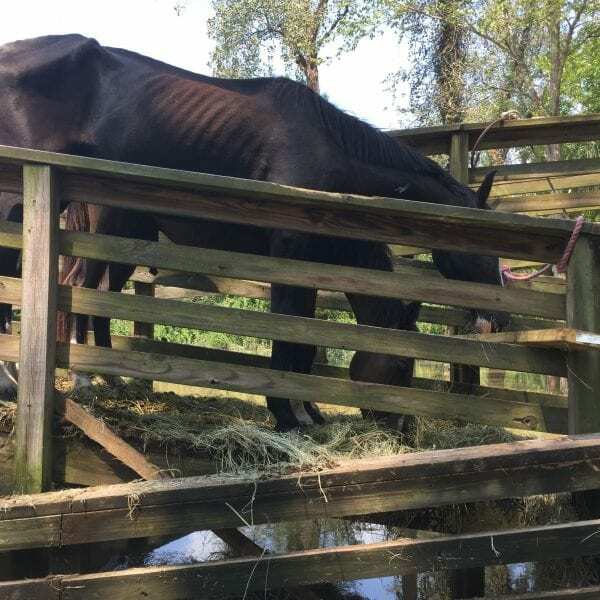 With many of the horse’s owners still displaced and unable to communicate with T.EA., the nearby Sam Houston Raceway Park, in collaboration with the Red Cross, has stepped up to home many of the organization’s horses. 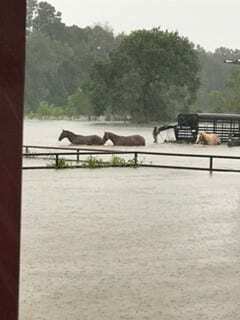 Unfortunately, the flooding has caused many water-related issues in area horses, such as colic, sores, cellulitis, infections and damage from fly and mosquito bites. Because of this, “the Vetericyn went like crazy. 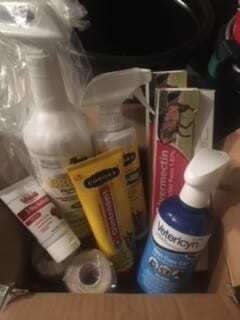 It’s an awesome product, and it’s been wonderful using it to deal with the sores and fly situation. The healing properties are amazing,” said Robertson. Robertson and volunteers like her have been “hustling” and “working 26 hour days” since the hurricane hit, she says, rescuing 193 horses and two donkeys thus far, from Houston to Angleton, and as far as out as Katy, Tx. Some of the horses went directly to other facilities, including peoples’ homes. “We rescued horses in the dark, we rescued them in the light,” said Robertson, who shared that at one point during the rescues, a nearby power plant exploded. “These are stressful times, but we have to laugh about it,” she said. Due to damage incurred by Hurricane Harvey, T.E.A. is looking for a new location to house its therapy horses, and is accepting donations on its Facebook page or via PayPal at telephone number 979-661-0362. 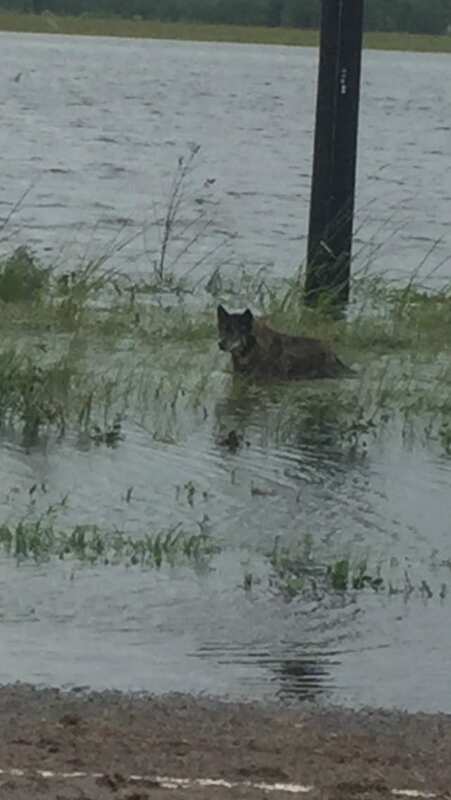 Many of the animal rescues that have happened in the wake of Hurricane Harvey have been organized not by huge rescue groups, but by individuals looking to help, such as Cherie Morgan of Hull, TX. 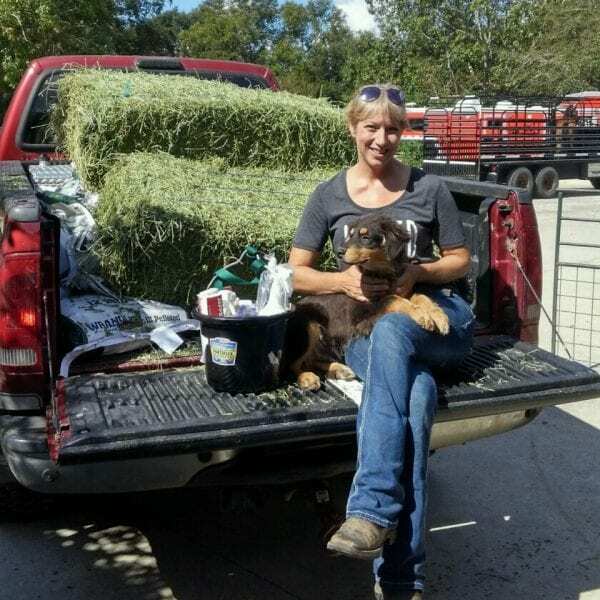 A traveling surgical nurse by day, Morgan, a lifelong animal lover, said she couldn’t just stand by, and wanted to do anything she could to help out, so one day she and her husband hooked up their trailer and headed out to disaster-struck areas. Morgan and other volunteers used two-way radio app Zello to communicate with major rescue groups to learn about animals that needed rescuing after the flood, and in particular, horses. Morgan began her rescue efforts with Equine Rescue, and later worked with the Liberty County Police Department, alongside volunteers Sarah Jackson and Chance Ward, whose unbelievable horse rescue video made the news and racked up more than 10,000 views on YouTube. Tragically, one of the volunteers, Brian Sumrall, a 15-year Houston Fire Department veteran, lost his life while riding a tractor to donate goods. Sumrall had played an important role in Harvey relief efforts and helped raise awareness of recovery efforts through a Vimeo video. “It was something we’ll never forget,” said Morgan of the rescues, which entailed her and other volunteers running through river bottoms and trying to herd cattle while swimming. “Many of the horses were underwater for four or five days. The animals are so exhausted by the time of rescue, they no longer fight you, they just float out,” she added. At one time, Morgan had four rescued horses on her own property and is now down to a pony and a miniature donkey. 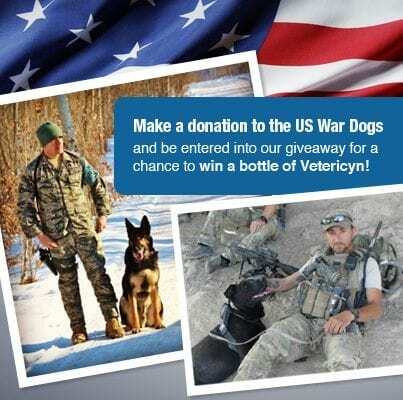 “When you’ve lost everything, it’s so nice to be able to get products like Vetericyn. 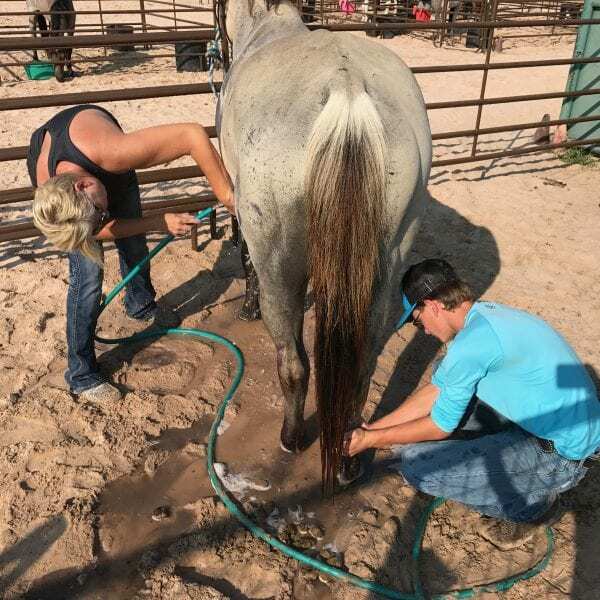 It’s really helped a lot of people out,” said Wendy Sibley, a volunteer at Remember Me Racehorse Rescue, a nonprofit in Burleson, TX specializing in rehabilitating, retraining and rehoming retired racehorses. While Remember Me was lucky enough to not be directly affected by Hurricane Harvey, Sibley and the other volunteers at the organization have been part of a huge effort to donate supplies to both animals and people in need after the disaster. Much of the relief efforts wouldn’t be possible without social media, said Sibley, who learned about supply needs through a Facebook chain that just kept growing. 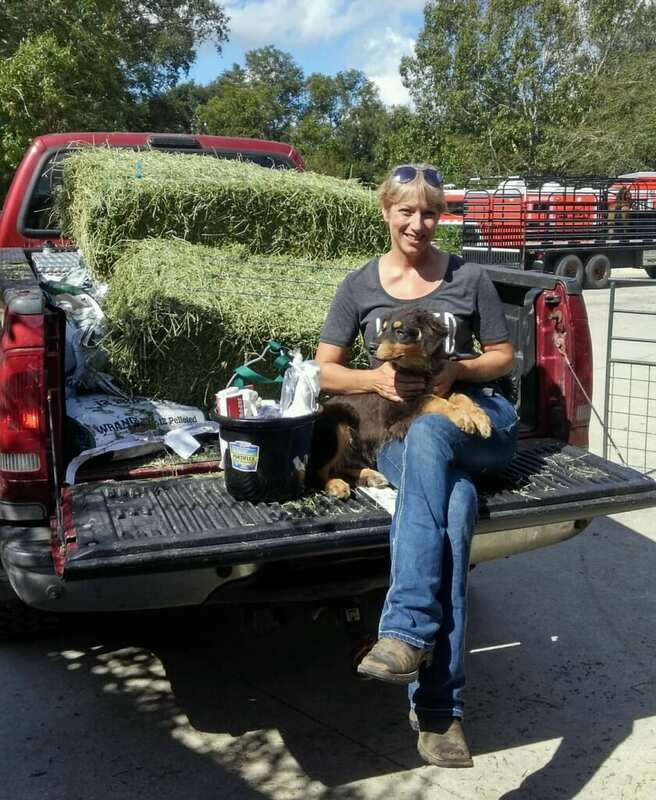 Upon sharing a post asking if anyone could donate goods, she received more than 7,000 pounds of donations, from feed for horses to bleach and Lysol wipes to help clean damaged homes and barns. Working anywhere from 12- to 19-hour days, Sibley has done supply runs to Houston, Winnie, Humble and everywhere in between, and has received donations from as far as New York. If you’d like to donate to Remember Me Rescue, visit them online and enter “Hurricane Harvey” in the comments. 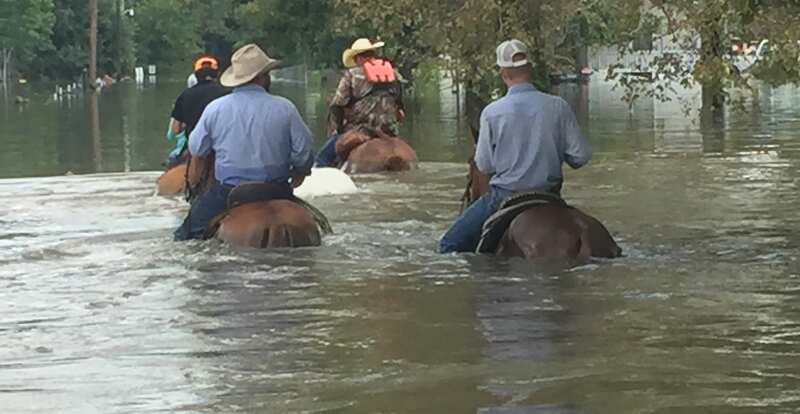 In the wake of Hurricane Harvey, Byler Performance Equine, a horse swimming and hydro-therapy center in Bellville, Texas, acted as a trauma rehab center for many of the horses rescued in the floods. 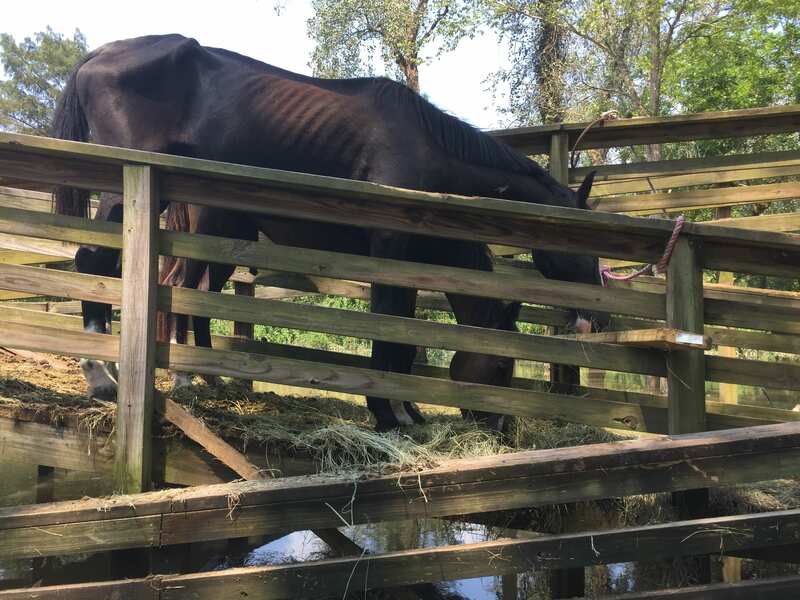 The center was able to home dozens of rescued horses that came in from Lake Conroe, Wharton, Devine and Sweetwater counties, and ushered in thousands of bales of hay and hundreds of tons of grain from generous volunteers. 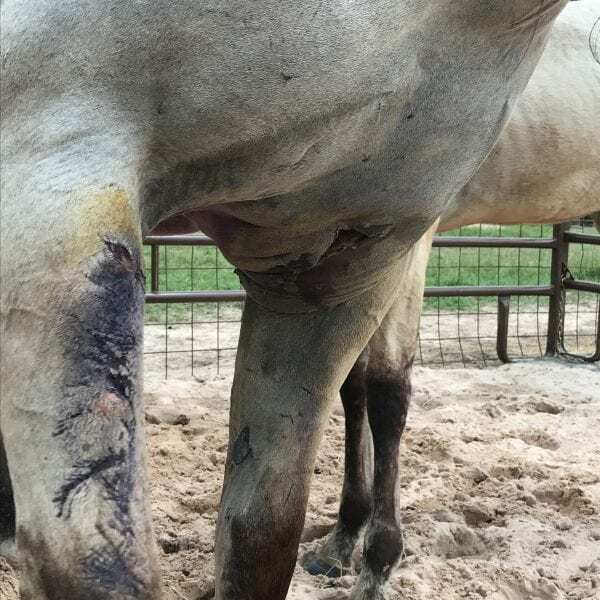 Unfortunately, many of the horses had and are still suffering from pneumonia and skin infections following the hurricane,” said founder Kimmi Byler, who shared that Vetericyn products were used to cleanse, treat and debride the horses. “We also sent the horses home with the product after they were treated here,” said Byler. Any donations to horses in the area are being processed through the Danny Dietz foundation, a local nonprofit that raises money for the community in honor of Navy Seal Danny Dietz, who was killed in June 2005 during Operation RedWings. Much of the animal rescue efforts following Hurricane Harvey wouldn’t be possible without the help of the Houston SPCA, which helped care for over 2,300 dogs and cats and over 80 displaced horses, farm animals and native wildlife after the hurricane made landfall. The Houston SPCA also served as the main distribution hub for pet supplies for individuals, shelters, rescues and other organizations needing assistance, distributing over 40 tons of supplies to those in need thus far. “Hurricane Harvey had a profound impact on the animals and people of our region and the Houston SPCA worked tirelessly to meet those needs,” shared Erica Peters, coordinator of donor relations at the Houston SPCA. 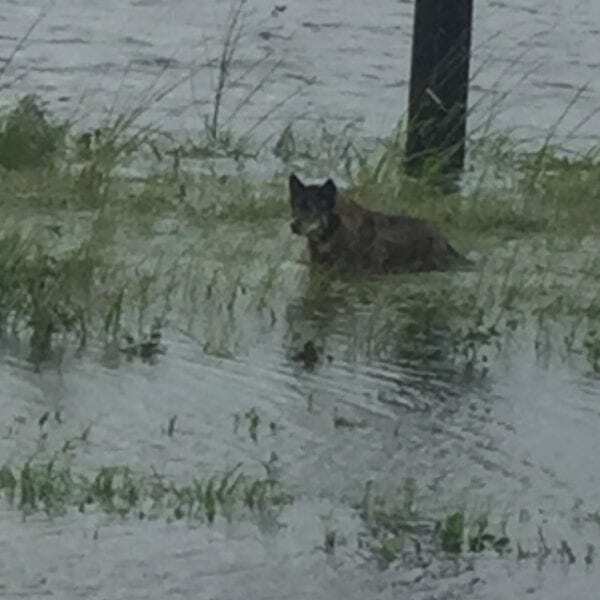 Immediately after the storm struck, the Houston SPCA’s swift-water rescue teams spent eight days in boats rescuing animals from flooded homes. Their 24-hour injured animal rescue ambulances helped conduct land rescues of abandoned and injured animals, and they established a MASH (Mobile Animal Shelter) in Jefferson County at the request of the County Judge. The SPCA also launched three unique programs to rescue and reunite animals with their owners: (1) Operation Reunite with the Texas Veterinary Medical Association and the Texas Veterinary Medical Foundation; (2) A Hurricane Harvey lost pet portal with Finding Rover; and (3) An online peer-to-peer foster program with Adopt-a-Pet. As of October 6, 2017, 305 Harvey victims found safe, secured foster care in veterinary hospitals and 243 animals, including over 40 horses that were reunited with their original owners. You can make a donation to the Houston SPCA by visiting their online portal. We will continue to share updates on our donation partners as we receive them, so keep checking in! Giving back to animals in need is part of our greater mission and values. If you know of an organization that is in need, please contact us here: charity@innovacyn.com.